dont be fool buy the looks. this is a great space saver love it. Recently reorganized my pantry and bought several items I thought might be helpful. I use this to store 4packs of fruit; bagged soup mixes and small boxes of soup. Really neated and created more space! Can see what I have at a glance. This is my second order! These have worked out great. A great space maker! We used them in the pantry and they are exactly what we needed. Used for all of my short cans (4-5) oz. Saved lots of space and items can be easily indentified. I purchased this for my pantry to keep all my different wraps more organized. i bought one of these a couple years ago, and I love it. My Microwave stand has a cabinet below it that looks quite like the one in the picture. When I received it I immediately put my boxes of wraps in it. Gave me more room and organization in my cabinet. Plus they are very handy to have, it puts your wrap boxes right where it is very handy and you don't have to dig around inside a cabinet or ? to find what you are looking for. Can still store containers (like a 1 gal pitcher & etc.) under it, and it frees up the shelf it is hanging from and still plenty of room on my bottom shelf to store other tall things. So glad I bought it. I have limited storage space and had been looking for something to store foil, saran wrap and that type of stuff, seems like it is always falling over or in the way in the cabinet....this holds everything and its out of the way, easy to get to and gives me more self space. I got two of these for my pantry. Perfect solution to a problem. Such a help when cooking ground meat..
Thankful I FINALLY purchased it..
Got this for a kitchen pantry. I love it! Saves a little space. I just wish I had another to use in on a different shelf! GET ONE if you have a kitchen!! My kitchen drawer space is so limited. This holder has helped out considerably. Slid right in a very busy cabinet area with no difficulties. It fits great and is exactly what I wanted. Great used in cabinets to organize paper and plastic bag boxes or any small items that tend to get lost on shelves. 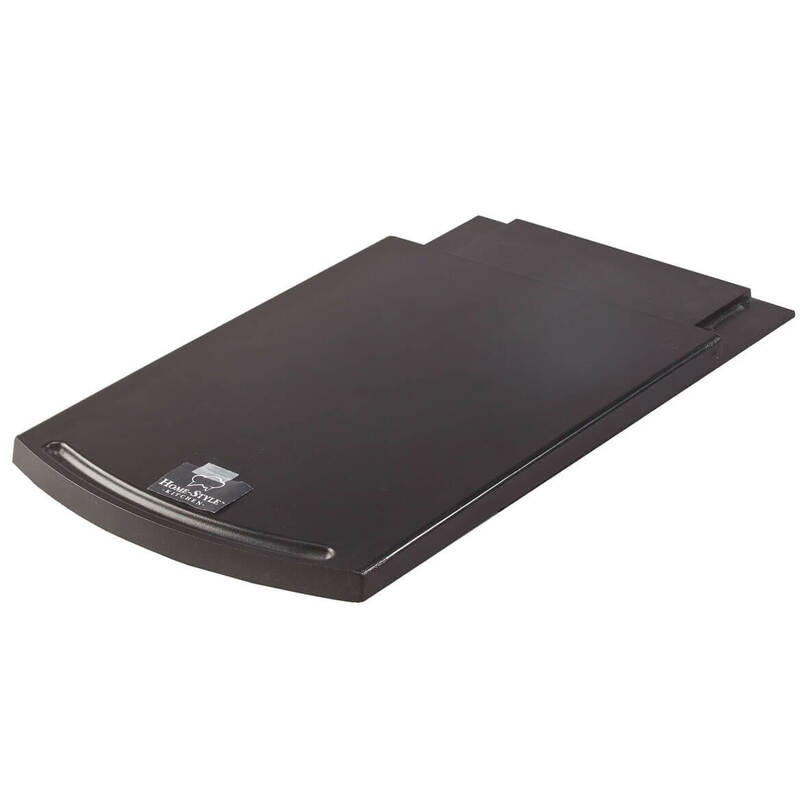 The photo shows this product as a wrap holder but the product is deep enough that I use it for my small plate storage. It keeps the cabinets neat while allowing more shelf space for bigger items. Used to store multiple boxes of kitchen wrap in the pantry. This helped free up drawer space where the boxes were stored previously. I would recommend them completely !!! These shelves fit perfectly in my pantry and really help save space for me !!! I PURCHASED TO ORGANIZE MY CABINETS. FOR MY BAGGIES AND FOOD WRAP. IT WORKS WONDERFULLY, AND GIVES ME MUCH MORE SHELF SPACE FOR CAN GOODS AND BOXED ITEMS. I'm always looking for ways to create more storage. Does anyone have enough? These fit under pantry shelving and work great for foil clear wrap and waxed paper; also use to hold paper plates. Could also be used in the cleaning closet. Great item. I love this little shelf, I needed to free up space in my cabinet. Works perfect does exactly what it is meant to do, free up space in your cabinet for other things. Perfect size, wide enough to store a good amount of wraps. The only complaint I have is I thought it could be used on the outside of the cabinet, it cant. This is only meant for inside. Regardless works perfectly! I needed extra space for small items and this shelf fit perfectly on my existing shelves. Its so good, I'm ordering another two. Highly recommend this - easy and useful for many projects. Very Handy for my use!! I never seem to have enough space to organize and store all of the things I have to deal with. These help use space otherwise wasted. This product makes good use of space normally vacant and unused. 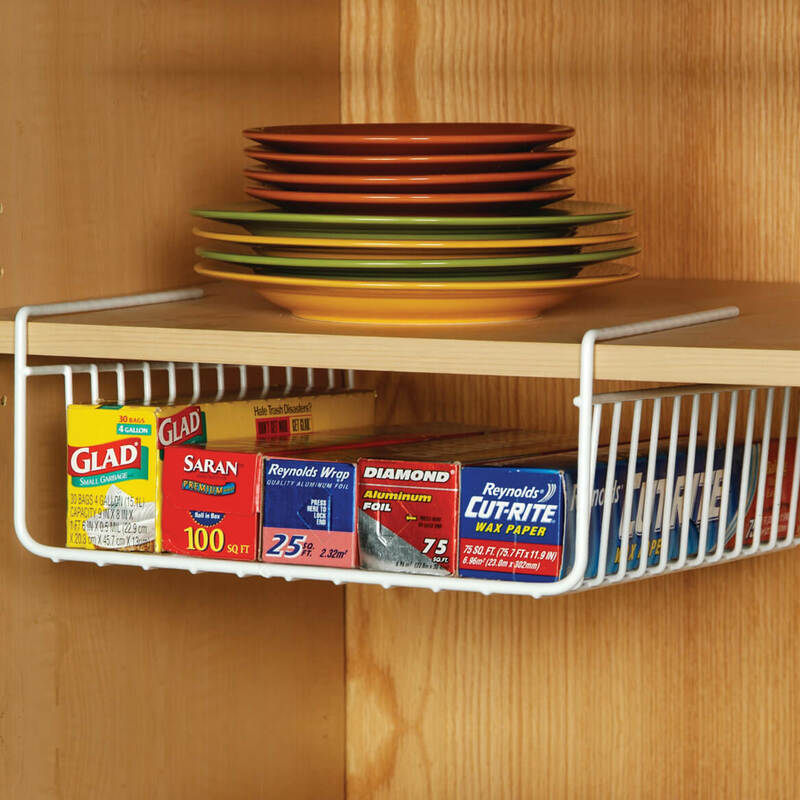 great cabinet shelf organizer and space saver! Makes great use of unusable space. Thes is a very handy item. Easy to use. I was able to utilize this under a cabinet that is over my microwave oven. Before, this was underutilized space, now I'm able to use it and organize all the roles and free up more space in my drawers. I ordered this to organize my pantry. It is exactly what I wanted. Fits perfectly in the pantry. My wraps are so well organized now. I would buy this again and again. 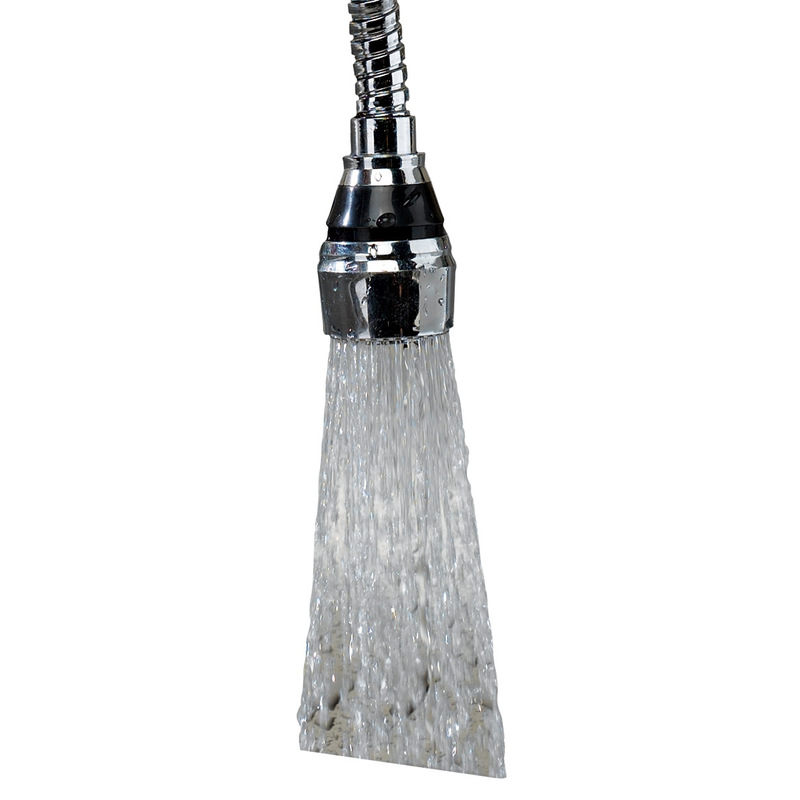 This is a great easy product to install & use. Love that is it an awesome space saver in my pantry, along with helping me keep it organized. Highly recommend this product. Why waste valuable cabinet or pantry space? Such a small item, but can get the job done. I LIKE THE CONVENIENCE OF USING THE EXTRA SPACE UNDER THE SHELF. IT IS ALSO VERY ACCESSIBLE AND EASY TO REACH FOR THE MATERIALS. I WOULD STRONGLY RECOMMEND IT. Perfect for storing boxes of waxed paper, foil, parchment paper, plastic wrap, etc. Wish there was one to hold assorted boxes of plastic bags. Like an extra shelf in the cabinet. Purchased this to use in our new RV with the intent of storing dishtowels, etc. Didn't realize when I ordered that I have no shelf lips to attach it to in the RV. So I decided to keep it and use it elsewhere. Neat little spacesaver. I did buy it again and sent it to my daughter. I use this in a closet to put my gloves and umbrella in. Also sent one to my daughter in Colorado Springs. We use the space saver in the office its perfect for holding an extra ream of paper under the printer table. Just perfect. People are asking me where I got it! This is the second one I bought. They are wonderful. I can find what I'm looking for and my pantry stays neat! Would recommend to anyone. Used several in kitchen cupboards to help separate dishes and it worked out fine. Looked good. 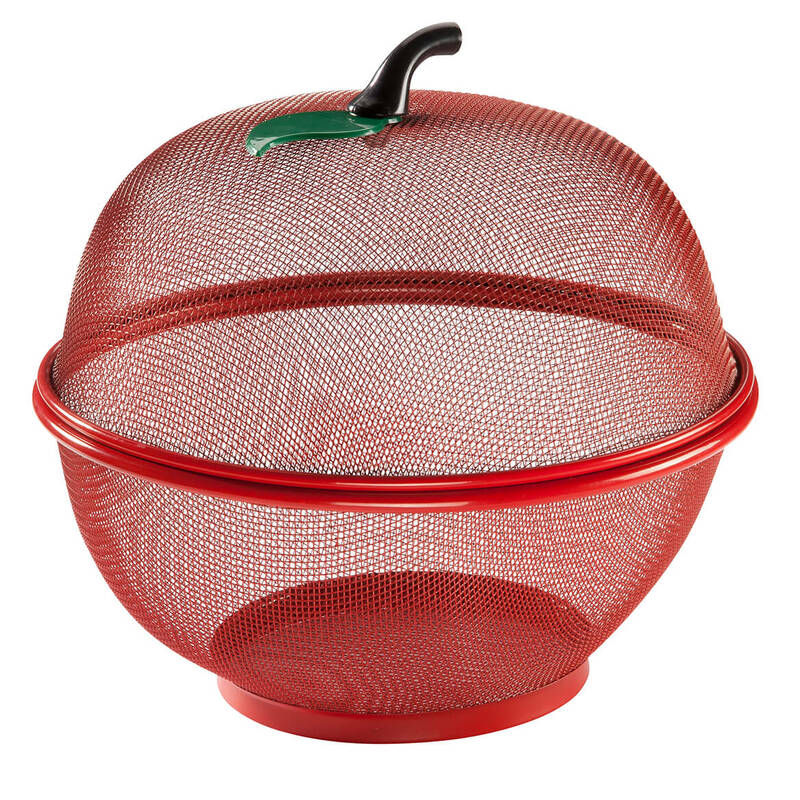 I ordered two of these and put them in my pantry to hold foil, freezer bags, etc. They are absolutely wonderful and have saved me so much space. I highly recommend them. Love it . Going to buy another one. Made more space. I think I can use it for other things as well. I love this product. It would last forever, but I made a huge mistake I didn't measure my cupboards and they aren't deep enough for this product. I'm really sad because this is a great product.Please measure your cupboards before you order. Ordered 3 for the pantry. They were so handy I immediately ordered 4 more for my computer area. Now I have easy access storage right above the monitor for extra paper, toner and other supplies. Great product! These are so helpful, to add more shelf space where you would otherwise have dead air space. I had so much wasted space under my caninet shelves and no place to keep rolls of foil & rolled wraps except on the botton of the cabinet. Now my wraps are out of the way & easier to reach & find the wrap I need . Now there is more available lower cabinet space to put pots & pans. FREE UP SPACE IN MYI CABINET. THE UNDER SHELF HOLDER WAS A SMART BUY. AS I LIVED IN A SMALL APARTMENT.IT FREED UP MY CABINET SPACE.AND THE FOIL IS ACCESSIBLE EASLY. THANK YOU, DEBORAH HOGAN. I use this in my Tupperware and other plastic ware cabinet. It was always a challenge finding the right lid for a container or stacking containers that have the lids on. Now I keep the lids in the basket (rounds on one side, squares on the other) and the containers stack neatly and compactly underneath. Great solution! I can't believe what a fabulous product this is!! It has ended a nightmare of clutter and made things so easy to find. This holder is such a handy item! It freed up a drawer that was crowded and messy. I will tell my friends and family about it. Great idea. Hangs perfectly in space beneath cabinet shelf and reasonable price. Just wht I've been looking for! I bought this for a cabinet that had a large open area I wanted to utilize for more storage. The wood shelf was not recessed, so I had to cut out a little wood out to allow the door latch to work. It makes more items in your pantry easy to get to. Keep all of the "wraps" under wraps! The area that is the most convenient for me was always messy and clumsy to use as I sifted through the "wrap" boxes for the one I wanted. Now with these handy shelves, I just open the cabinet and there they are all neatly placed on this shelf hanger. Now I ask myself, why I waited so long to improve on this small but important time saver! Great product! This is a real space saver! I put this product in my cabinet and it's saved me some space on my microwave cart, which I'm thrilled about. Sure, it doesn't have a back to it, but as long as you don't just throw, say a box of foil, onto it and just gently lay it back on it, it's fine. It's great fore extra storage,I just wish it was a little bigger. It was delivered quickly. I used it in my hall closet and loved the space it saved. I used it in the hall closet and found it easy to put in place. I was pleased that it did not need screws or nails. I have a large catch all closet with a lot of dead space. is a little pricy, but c'est la vie. I use this product to store my boxes of tea. I have several different boxes that were a pain to have in my cupboards because they don't stack neatly, or stay stacked. 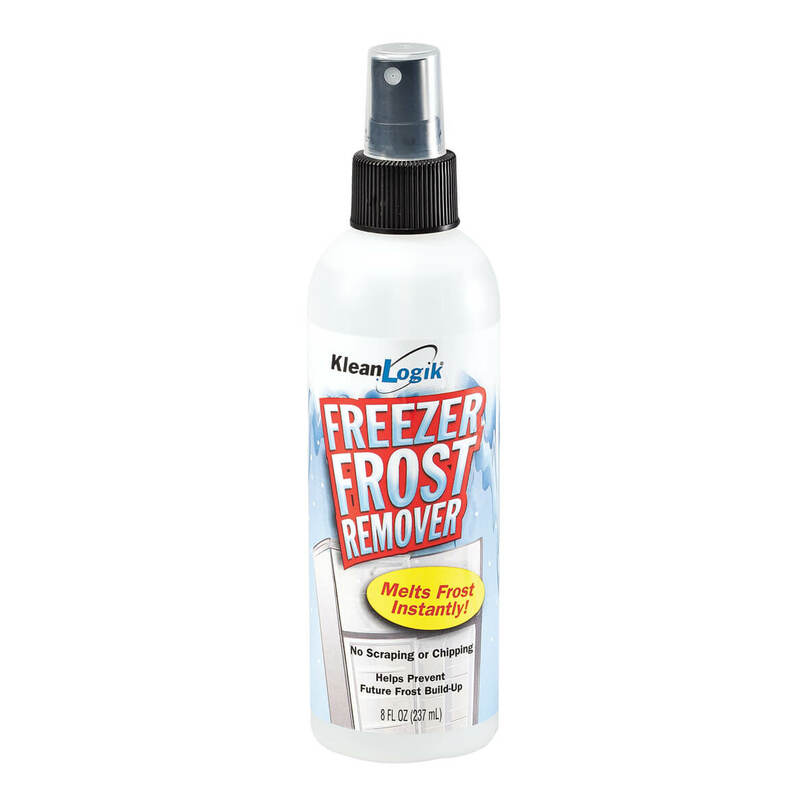 This product made that problem disappear plus gave me a lot of extra much needed space in my cupboards. Will be buying another in the near future. The cupboard I bought this for is not deep enough to accommodate the item. I made other use for it though. I originally bought it to use under the cabinet but didn't check carefully so didn't work as not a wide enough bracket for that. I did use one for inside a cabinet that had widely spaced shelves and also on a wire entertainment center to hold DVD cases, remotes, etc. I would have given 5 stars if it could be adjustable for wider shelves. The rack is flimsy because the welds were all to pieces. Fortunately, my husband wove them in to the frame and I am able to use it. It wasn't worth the effort to return it. Yeah, China. Not Just For The Kitchen! I use mine as a storage area under my TV tray- it fits over the wooden tray perfectly and gives me extra storage for any number of craft items or remotes etc. Very handy to have in pantry to hold aluminum foil, bags, plastic wrap, etc. Perfect to put under the cabinet shelf and holds all the paper plates/plastic plates. It's keeps stuff/things from being cluttered. Great for storing foil, plastic wrap, etc. Although the wire baskets were a little too long for my new kitchen cabinets, I placed mine on the bathroom closet shelves which were deep and wide enough. I may buy more. When I got it, I saw where I could use this rack in other areas in the house! They help me organize my wraps and baggies. I needed three. Much neater now. Good Idea--and an Easy One! I like this product, but make sure your cabinets are deep enough to handle the length of this product. Other than that this is a great idea for saving some space and keeping things at hand. I was able to place this item in my pantry that has wire shelves. I have old cupboards and the attachment legs won't fit. I have 3/4" shelves in my kitchen and this did not slip all the way on my shelves. Please make sure you have 1/2" shelves before buying. I like it...just wish I knew it wasn't going to fit before I ordered it. 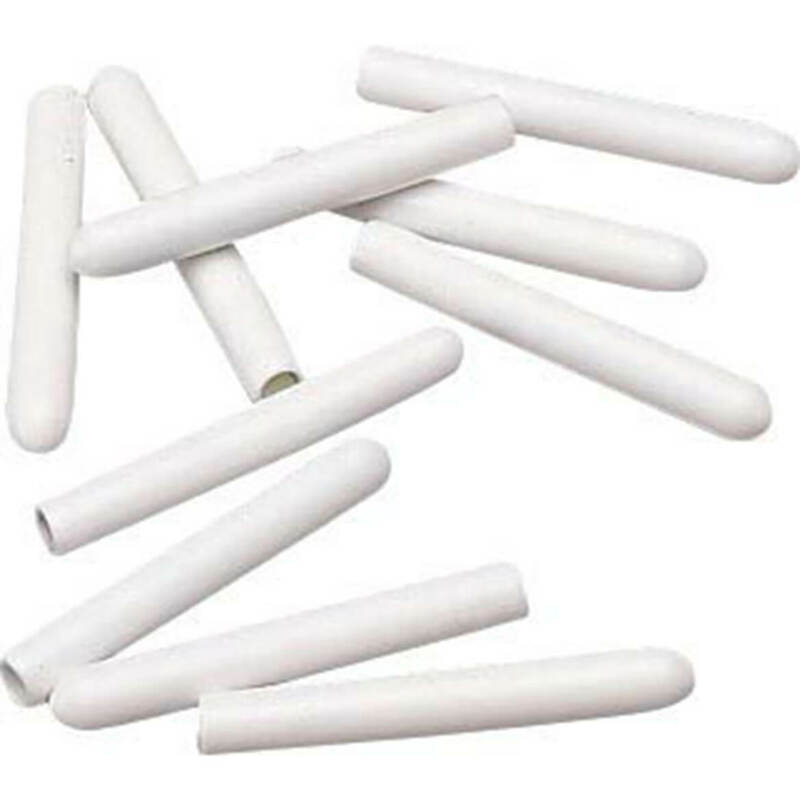 i bought these after reading reviews and they are ok.they are flimsy and they move when you get the things out.they could be better if they were made of metal.they are just too cheap looking and they move.its a pain putting them back on.would like to see some better made ones.thanks.ps they will do for now. To store boxes of foil and such products. Holds four boxes. I bought it for my kitchen shelves which are average but it's design is for much thinner shelves. I will find a place for it to use but my original intention didn't work. It does hold five boxes such as foil, etc. I like the saving of storage space, but I saw it locally a little cheaper. No shipping charge. WHEN I TRIED TO SLIDE THIS RACK ON MY SHELF, IT WOULD NOT FIT TIGHT ENOUGH FOR MY CABINET DOORS TO CLOSE OVER IT. THERE WERE AT LEAST 2 INCHES STICKING OUT IN FRONT, PREVENTING CLOSURE OF THE DOORS. I TRIED IT ON EVERY SHELF IN MY HOME. IT DID NOT FIT ANY OF MY SHELVES. THEY ARE ALL TOO THICK. DON'T MESS WITH ANGRY TEXAS WOMEN!! New house - kitchen cupboards are pitiful. This offers better storage and organization - wish it was deeper. I store my foil, etc. in a drawer, and will continue to do so after buying this. It takes up room under the shelf that could be utilized better for other items. I'm using it to store Tupperwre covers right now, but may not for long. Should have returned it. I hung two of these in pantry to have a space for small pkgs of gravy seasonings, dry soup etc. Too flimsy and when you slide it forward it will come too far and dump everything to the floor. Also no back on it which I had not noticed so when you slide it back in out the back things fly. I solved it somewhat by cutting a strip of foam to create a back to the shelf so at least nothing falls out from behind. Would not buy again. this wire basket completely onto the cabinet shelf and close the cabinet door! I ended up having to just lay this under-shelf basket on the cabinet shelf and use to corral my 'stuff'. Very disappointing! Please be aware that this shelf only fits 1/2" shelves. Not usable in most kitchens. Also there is no back to it, so it isn't for shelves wider than 12". Mine is going to Goodwill where maybe someone can use it. It's useless. Doesn't fit in any of my cupboards, they must have really deep cupboards in the photos. MEASURE your cupboards before ordering this, or find someplace else to put your plastic wrap! When you place heavier wraps such as aluminum foil on the suspended shelf, the weight pulls the shelf down on the back side. This causes the shelf to sag so much that you can no longer use the space underneath it, thereby wasting space instead of saving you space. didnt work out for us, wouldnt fit over shelf edges, like i hoped. had to return. Disappointed in the quality of this product. Wire slid on shelf on one side but was narrower on the other side and would not fit onto shelf. Flimsy so that it sagged in the back. This will help me free up some shelf space in my pantry and organize these items too. What's not to like about that?! Wanted to get them out of a drawer so I coild use the space for other things. Easier to reach these products without taking up valuable cabinet space. Always looking to make storage easier. Hope it works. It looks like a good idea save space. I need more space in my cabinet. I think this is a neat idea for extra storage. My wrap papers might finally have a stable home. I need more space in my apartment utility room. This basket will save me so much space and I can FINALLY keep up with my wraps! Needed addl. storage in small apt. I think it will be handy. Looks perfect to solve my pantry storage problems. I look forward to receiving it in the mail soon! To keep foil, plastic wrap and baggies in sight. I am short on cabinet space. 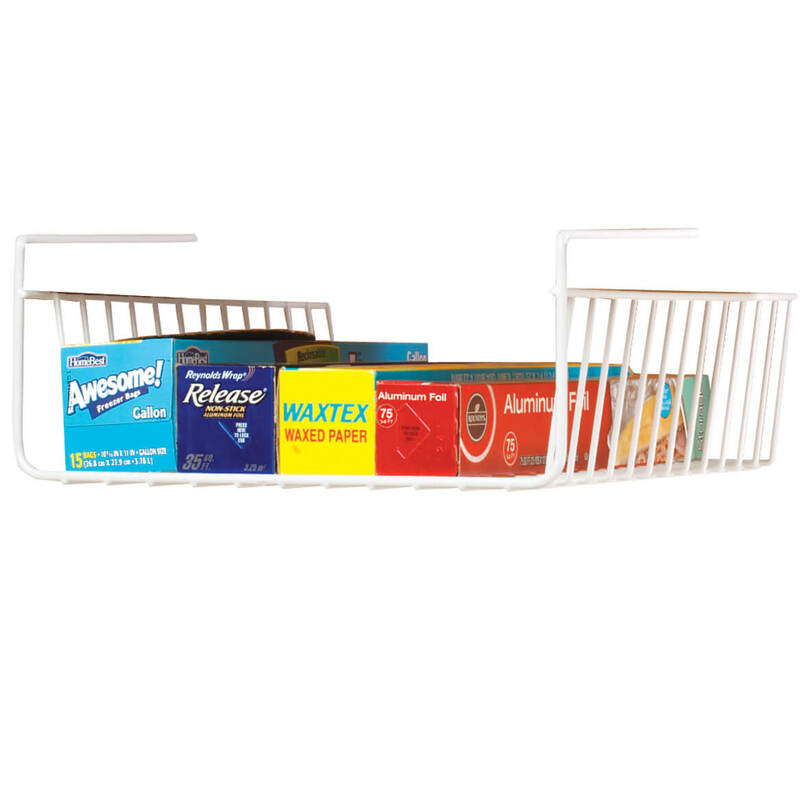 Do these baskets work on thick shelves of 1.5 inches? BEST ANSWER: Thank you for your question. This item fits shelves up to 7/8” thick. We hope this information will be of help to you. Dishwasher prong caps replace worn tips before they ruin dishes. Safely preserve your costly dishes and glassware with these protective, slide-on vinyl dishwasher caps. Nontoxic white caps prevent rust from clogging motor, too.